Last night we watched the Grammys. I remember watching them with Solomon and Nicole, probably in 2009. He gave a running commentary of who was good, and I still follow it, the tunes in the Grammy-nominee category. Many people my age think of Grandparents when they hear the word Grammy. But I got early training. 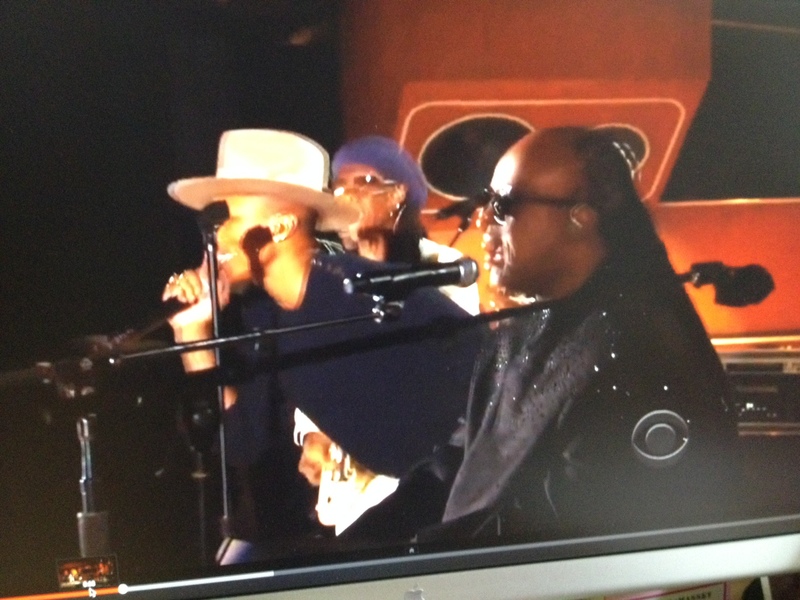 So when GET LUCKY came on with Pharrell Williams, Daft Punk and wow— Stevie Wonder!! I joined Staples Center attendees who were – several thousand of them – on their feet dancing with a kind of slow joy that held the room; joy that shone on the faces of Paul McCartney, Ringo Starr, Beyonce, Keith Urban, Katy Perry, Jay-Z, and Yoko Ono and more. Beautiful moment. See for yourself. Watch it here! I got some cough-and-sneeze bug a couple weeks ago and it has taken forever to clear out, so, since I leave for New Delhi, India tomorrow morning (Feb. 28), I paid a quick visit to my Ear-doctor to get the OK to go. As I got close to the office, I turned on the radio to see what the message the universe was offering for this journey and there it was: GET LUCKY blasting out. Timing like that has a name on it. SOLOMON. I burst into tears and cried and sobbed: Not from sadness, but from utter joy to feel him so present in the serendipity of how he knew those best songs before anyone, and this was his gift. Have a good trip, Mom…. 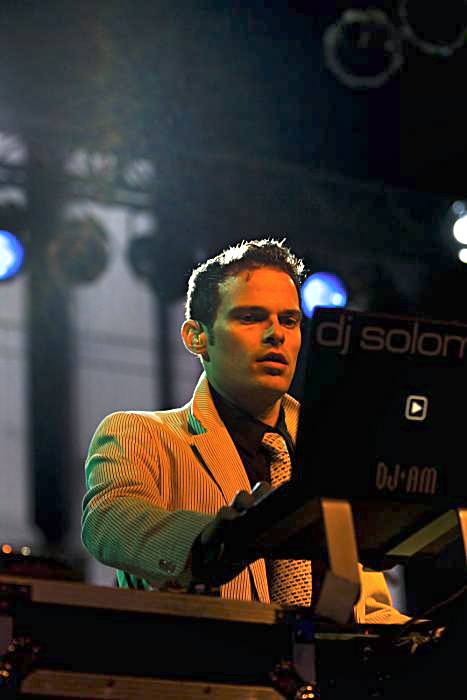 Solomon DJ’ing the Black ‘n White Ball, SF. I’m so lucky to have had Solomon Kahn in my life for 34 years. The anniversary of the end of the second year of his passing, January 31, 2012 is almost here. Those of you who love him, I’ll be with you! Solomon, you still get me dancing! Feeling the happiness in being alive. I return to the place where we spent the first 4 months together — you, a stowaway in my womb — to Mother India. I got Lucky. 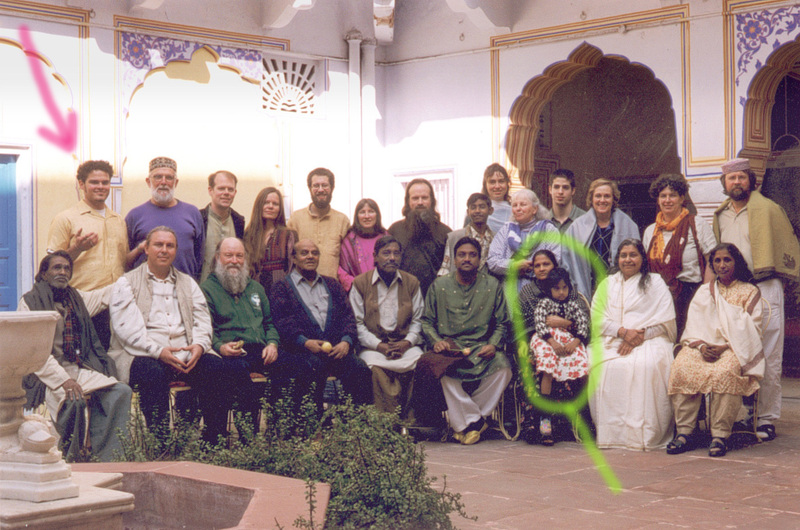 The little three-year-old girl (green circle), Shahana Ali Khan, is an adult singer and will be singing a Raga Concert for us in New Delhi next week. She is the daughter of Usted Mashkoor Ali Khan seated next to her and her mother. The music goes on…. Beautiful Tamam! 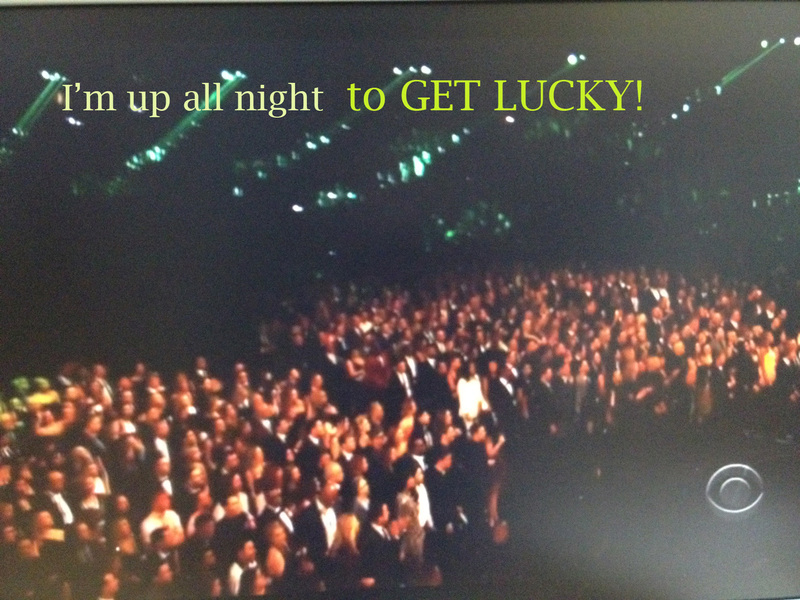 I agree that the GET LUCKY performance at the Grammy’s was really awesome. I love reading about your synchronicity around it. Blessings on your way to India and for Soloman’s Urs. Thank you, you’ll be with us there — in spirit! Oh, Tamam, my tears overflow as I finish reading this exquisite post. May you travel safely and with joy to Mother India, Mama! Our love goes with you. Thank you, Dear One! May we all get lucky! Thank You Tamam-Ma for bringing me back into my heart and the magic of life this morning! I have been a little weary and your words are a gentle, fun and loving nudge to Remember…. Have a yet another wonderous journey with the blessed Mother India, I send my Love with you! Sweet! WE are now in Mother India ~ sending LOVE back to you!